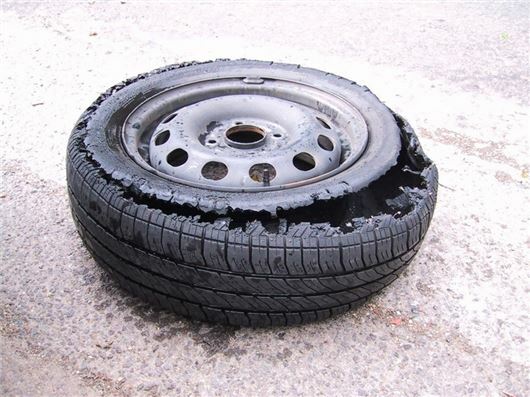 www.tyresafe.org has issued a warning that underinflated tyres are more likely to overheat and blow in the high temperatures we are currently experiencing. When tyres are under-inflated, excessive heat builds up within the tyre and makes them much more susceptible to suffering from a rapid deflation of 'blow-out'. This can make the car extremely difficult to control, especially if it occurs after prolonged periods of high speed running on busy motorways or A-roads qwhen the driver is getting tired. Underlining the scale of the risk and dangers, figures from the RAC show that last year, its patrol crews attended more than 50,000 tyre related call-outs in July and August alone. And average temperatures were much lower then than theya re this year. Stuart Jackson, chairman, TyreSafe, said: "With July and August normally being the hottest two months of the year, car tyres are placed under increased stress from the higher temperatures like we're currently experiencing. It really is important that motorists check their pressures at least once a week all year round, but even more so at this time of the year." Under-inflation, as well as being a huge safety issue from an increased risk of tyre failures and punctures, can also be financially costly because of a reduced tyre life and increased fuel consumption as the engine has to work harder to make the tyre turn. RAC spokesman Simon Williams said: "In 2012 RAC patrols attended 344,000 call-outs for tyre and wheel jobs, making it our second biggest breakdown with 15 percent of our 2.3 million breakdowns. We urge everyone taking to the roads this summer to make sure their tyres are in good condition otherwise they risk spending some unwanted time on the hardshoulder or in a lay-by instead of on the beach." And the hard shoulder is the most dangerous part of any motorway. When checking their tyre pressures, drivers should ensure they are correctly inflated for the load being carried, such as additional passengers or holiday luggage. The correct settings can be found in the car handbook, inside the fuel filler cap or on a plate on the driver's door sill. You can monitor tyre pressures even while you drive if you have a tyre pressure monitoring system. Some systems also measure tyre temperature so they warn you if a tyre is getting overstressed and in danger of a blowout. Definitely agree with what Tyre Safe have to say - I think this once again stresses the importance of tyre car and having them replaced when they need it. I religiously have my tyres changed from Summer tyres to Winter tyres and visa versa by my local mobile tyre fitters - I know my tyres are always inflated correctly and will have a long life span.